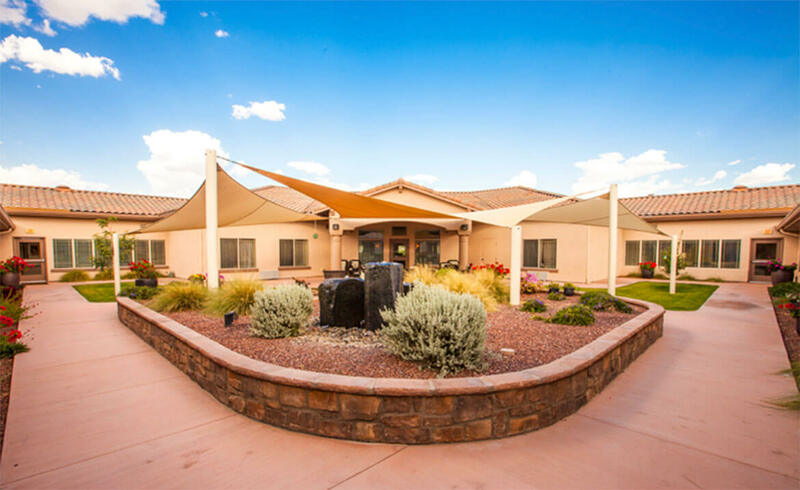 The Rock Creek Alzheimer’s Special Care Center in Surprise, AZ is a 33,000 SF building featuring 66 beds with private and shared rooms. Lenity Architecture provided full architectural services from land use to Certificate of Occupancy. 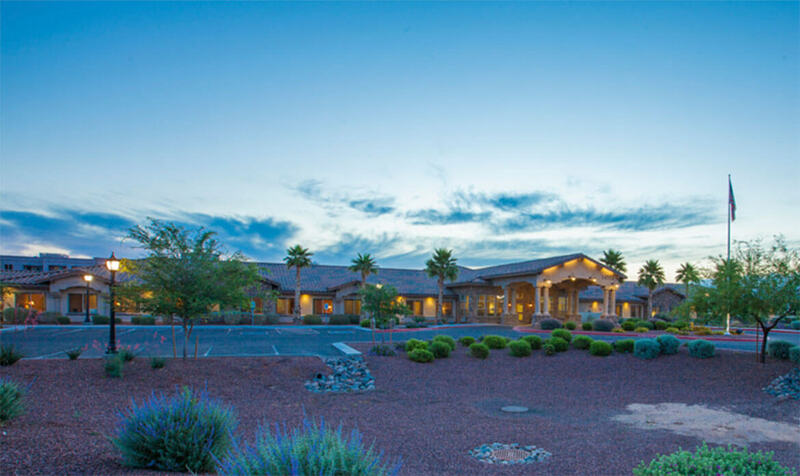 The Rock Creek community was the first project in a 26.5 acre PUD for senior housing. Lenity Architecture set the standard for the design and character of the buildings to follow. Our client and partner in this project has an in-depth understanding of the needs of residents in an Alzheimer’s and Special Care Facility. Together, we work to ensure residents are comfortable and most importantly, safe, wherever they are–be it in or outside of the building. 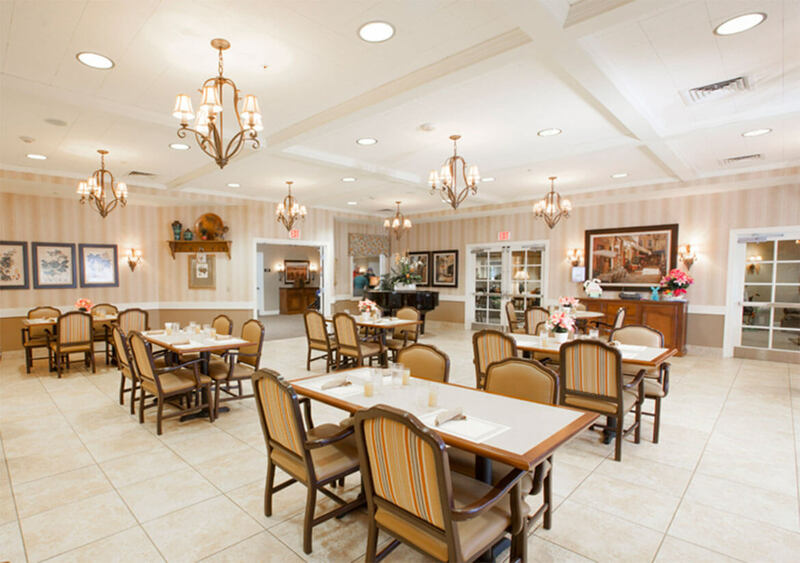 The seniors that live in our buildings are an extension of the Lenity Architecture family and every detail is accounted for to ensure their quality of life is preserved to the fullest extent possible. 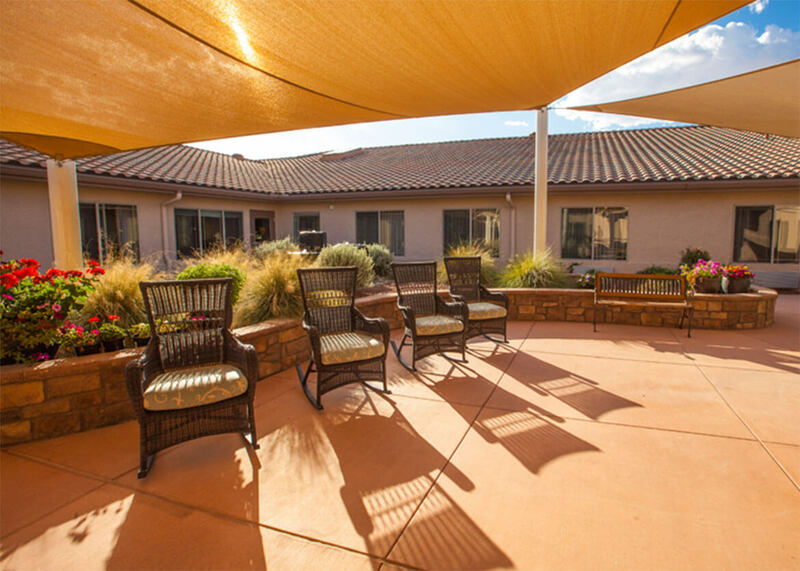 We look at open living spaces–such as the interior courtyard at Rock Creek Alzheimer’s Special Care Center–as opportunities to find laughter, support and companionship. The intention that is built into each community’s design, coupled with genuinely caring staff, creates a warm extension of home and provides family members reassurance that their loved ones are in good hands.